What 5 things would you hate to have to live without? What are the things in your life that you really could not bear to be without? What are the little pleasures that you indulge in regularly? The things that make your day or week complete. Kids and partners/family don’t count. But list just 5! Here are mine (in no particular order). 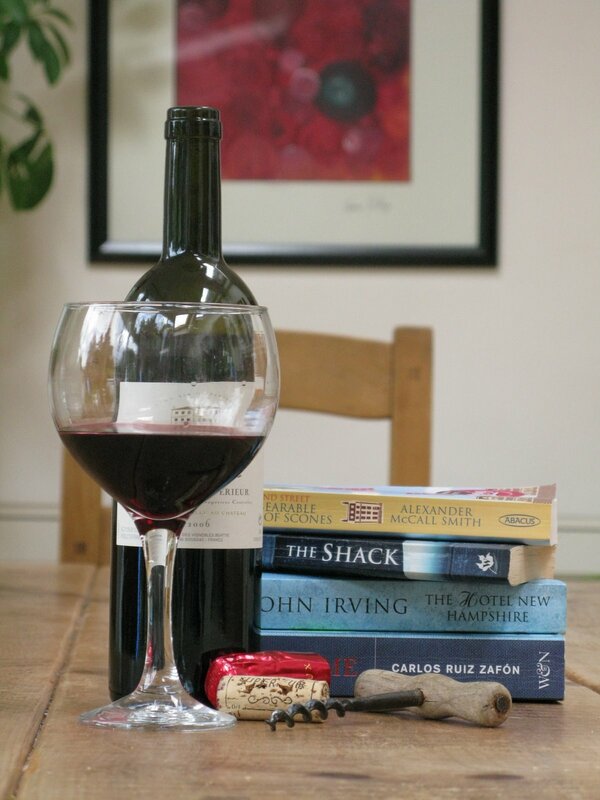 Red Wine – have I a problem? Don’t think so, but am big enough to admit that as the week rolls on and as Thursday and Friday afternoon heads towards 5pm, I like nothing better than the pop sound of the cork being wrenched out of the bottle, followed by the glug, glug of the red nectar splashing into a suitably large glass!! And the first sip of red wine.. mmm.. What time is it? Books – what’s to explain? I always have at least one novel on the go and possibly have another one for dipping in and out of being read also. I get very antsy if I don’t have another 3 or 4 lined up waiting for my attention. Cats – As regular readers of my blog will know I have a dog I adore and who adores me. But I also have 4 cats who treat me with differing attitudes but none of whom adore me. All like (and probably love) me, but they balance their affection with occasional sympathy (like they know it all and I am more than a little daft), contempt (try moving a cat off your place on the sofa) and sometimes they just like to ignore me – no doubt ‘cos they think that I am getting ideas above my station. Even though I spend my life getting rid of cat hairs from everywhere, I love the way my four cats decorate various corners of my home and garden. And cats always know how to look terrific! Chinese Take Out – I can’t wax lyrical about Chinese food cos I know it’s full of msg and stuff that makes you fall asleep about an hour after eating it! But Friday nights in front of the telly in my PJs (having had an early bath), book at the ready in case the telly is crap, cat beside me (and hubby beside cat! ), glass of wine in hand is complete when the ‘chinky’ arrives! M&S €12.50 dinners for two are a newcomer to my list and may replace the Chinese in time. Anyway there are mine! Now what are yours?